Every BRS student has received offers from top universities around the world. Some of the most recent acceptances have been from the top 20 schools in the United States. schools in the United States. 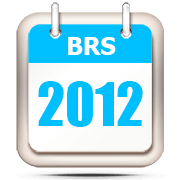 BRS graduates study in more than 10 countries all over the world, in 28 states in the US. Driving Route:Take Li Tang Road and get to Pingxifu intersection (traffic lights), then turn left onto Beiqing Road,drive for 2KM and turn right, BRS Campus is on your righthand side.